There’s nothing too extreme for the western dieter, whether it’s unnecessarily punishing workouts or diets that cut out entire macronutrients that have sustained humanity for millennia. 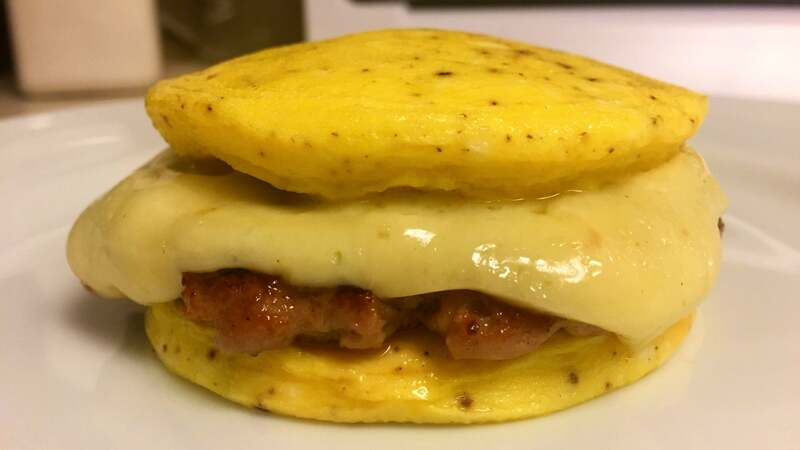 All of that is to say that only in this day and age can something like the Jimmy Dean Eggwich not only exist, but enjoy what seems like respectable popularity. 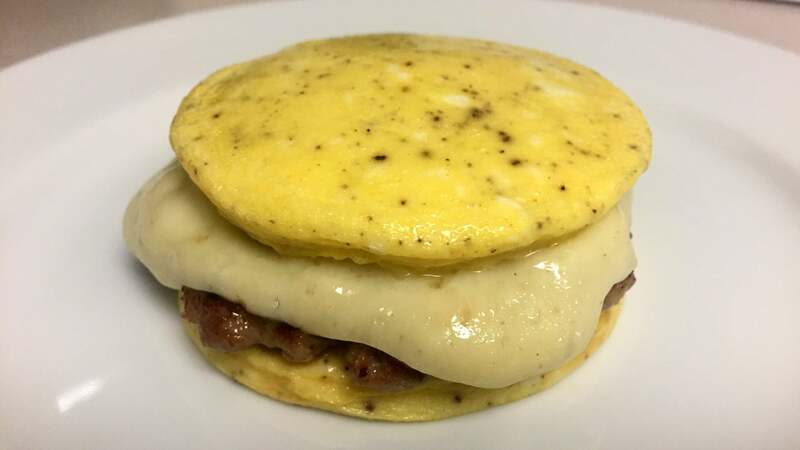 A sausage patty and cheese encased in a pair of frittata “buns” in lieu of bread, the “eggwich” (a phrase I will not type again) is a perfect artifact of breakfast diet culture: An over-engineered, extreme reaction to a problem, conveniently designed to be eaten on the go. There’s no real “hack” here — what you see is all there is. You could very well just crack a couple of eggs into a pan, put sausage between them, and chow down. But for authenticity’s sake, I wanted to more faithfully recreate the egg “buns”. To do that, I settled on cooking the eggs in a couple of greased large mason jar lids in a water bath. After beating a couple of eggs with salt, pepper, and a splash of cream, I found that each lid can hold about half the mixture. 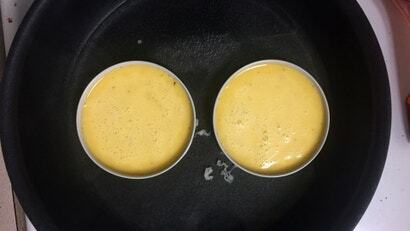 The lids will both contain the eggs and prevent any part of them from visibly browning. Get the water simmering over medium-ish heat, and cover the pan with a tight-fitting lid. 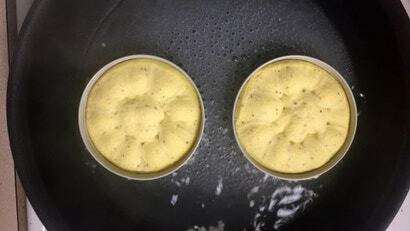 After about three minutes, you’ll lift the lid to see something kind of cool: The eggs have puffed up way beyond their original volumes, and now with the lid off they’re shrinking rapidly, like weird alien creatures retreating from the light. You know they’re done when they’re a very pretty canary yellow with no visible liquid or undercooked egg. Use a towel or some tongs to get them out. Your path forward from here is up to you. If you greased the jar lids or sprayed them with nonstick spray, the eggs should slide right out. According to Mr. Dean’s blueprint, you’ll slide a patty of breakfast sausage between them with some melty cheddar cheese and chow down. But since you’re calling the shots, anything goes. Upgrade the cheese, swap out the meat, etc. The world is your insane, low-carb oyster. I went with a slice of havarti and regular breakfast sausage, and it was better than it had any right to be. For purely aesthetic reasons, I recommend assembling things with the flatter sides of the eggs facing out. I also find that their modular nature makes them particularly good for meal-prepping, something you’re probably familiar with if you eat the kind of diet that would lead you to discover (and have interest in) bunless egg sandwiches. My one caveat would be that if you’re making a bunch in advance, hold off on the cheese. You’ll be better off leaving the cheese to the last minute so that you can reheat the components separately if need be. 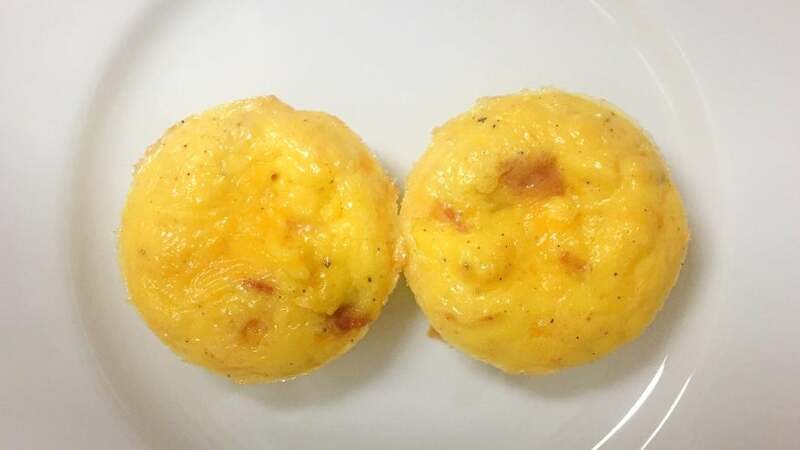 For reasons we can't begin to fathom, the Australian arm of Starbucks does not sell its famous sous vide egg bites. These bad boys have a velvety, almost creamy interior, with — at least in the case of the bacon & gruyère variety — a distinct cheese flavour infused right in. Thankfully, it's pretty easy to make them yourself. Or just make an omelette.